SELLERGATE … SYDNEY METRO NORTHWEST WITH SEATING FOR ONE IN THREE PEOPLE FOR 60 KM TRIP | COMMUNITY ACTION ALLIANCE FOR NSW (CAAN): HOUSING INEQUALITY WITH AUSSIES LOCKED OUT! 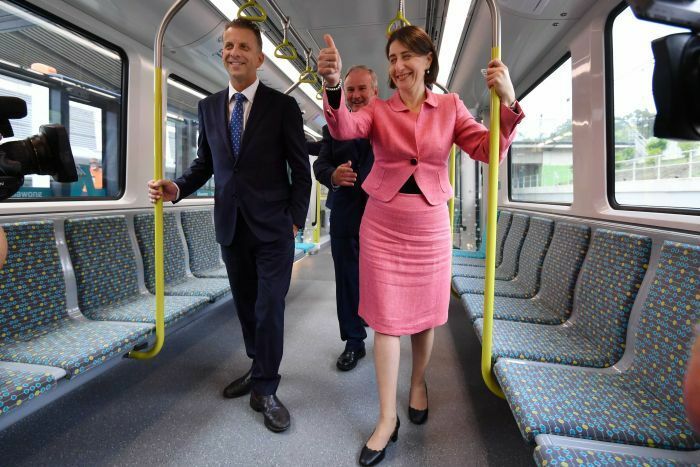 The NSW Premier Gladys Berejiklian has shown off one of her Government’s flagship infrastructure projects, the Sydney Metro Northwest, in the final few days of the state election campaign. Ms Berejiklian was joined by Transport Minister Andrew Constance and local MPs for the first ride on the new driverless train, which will run from Rouse Hill in the city’s north-west and will eventually link up with Chatswood, the CBD and the south-west. The rail link, due to officially open in May, is the introduction of Australia’s first fully automated passenger line, which can reach a maximum speed of 90 kilometres per hour. “This is a truly historic day, not just for NSW but for Australia,” Ms Berejiklian said. PHOTO The project will use driverless trains and run from Rouse Hill. The Government announced the $8.3-billion project had come in $1 billion under budget and ahead of schedule, spruiking its achievements to voters. “The Northwest Metro rail line shows that when the NSW Liberals and Nationals make a promise, we deliver on it,” Ms Berejiklian said. 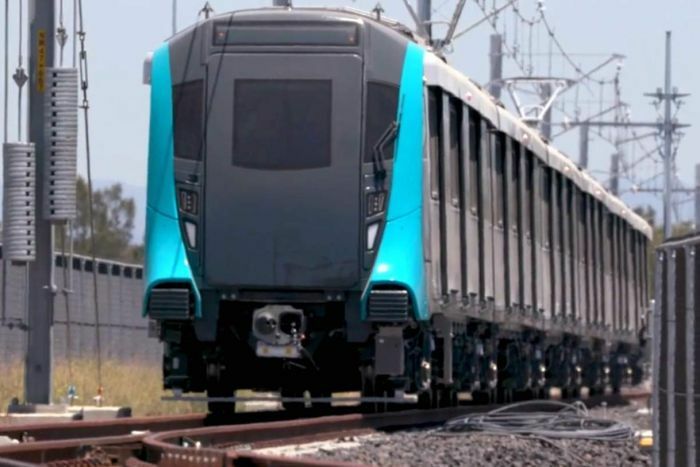 Mr Constance said passengers would fall in love with the new Sydney Metro, where commuters from the north-west could expect to see trains stopping every two minutes along the route during peak hours. CAAN: It will be packed out from Rouse Hill to the CBD! With only one third seating! “When they were last in office, Labor promised 12 rail lines and didn’t deliver a single one and now they want to cancel the Sydenham to Bankstown Metro upgrade, depriving Sydney’s south-west of world class metro services,” he said. The Government said the entire 22-train fleet had been delivered and more than 35,000km of train testing had taken place along the route’s 13 stations. Since 2011, the State Government has spent $58.3 billion on road and rail projects. But today’s positive media announcement sits in stark contrast to other major infrastructure projects, including Sydney’s troubled Light Rail project, where the cost has blown out from $1.6 billion to $2.1 billion even before the settlement of a lawsuit with key contractor Acciona. That’s now not expected to be completed until May 2020 and delays to the project could impact on Coogee MP Bruce Notley-Smith’s chances of re-election. WestConnex is also over budget with ongoing construction causing headaches for commuters in Sydney’s inner–west. *Labor meanwhile has said it would not proceed with the government’s proposed conversion of the existing Bankstown line for new metro trains and would also cancel the planned F6 extension, the M12 link to the new Badgerys’ Creek airport, the second Sydney Harbour crossing and the Northern Beaches Link. If elected, it would instead fast track the new Western Sydney metro line from the CBD to Parramatta and Westmead.